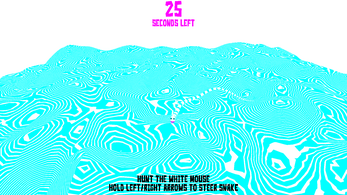 Challenge your visual perceptiveness and manual dexterity by hunting a well camouflaged white mouse hidden in a scintillating landscape among striped snakes. 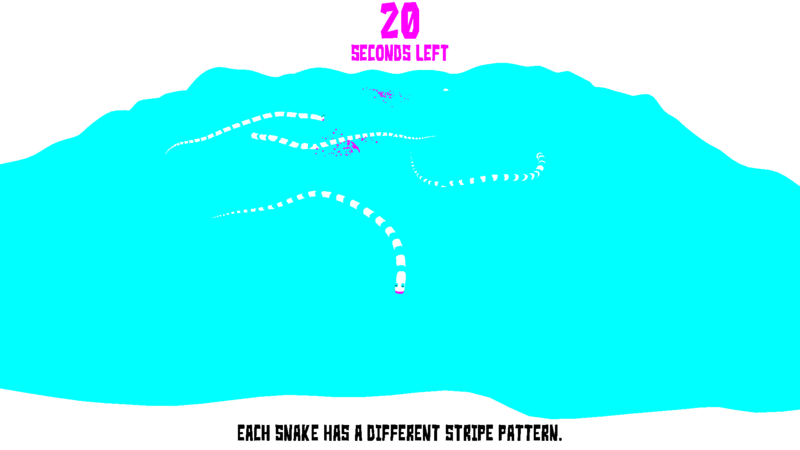 This skill-based arcade action game wickedly twists together "Where's Waldo", classic snake game, and optical illusions. 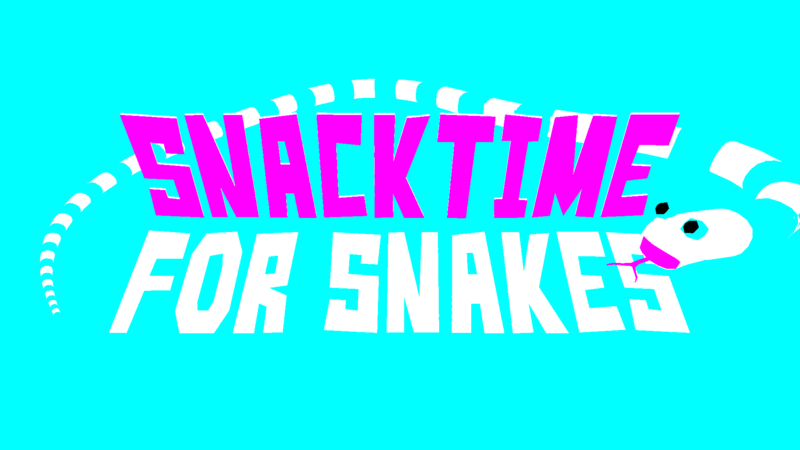 There are ten levels - ten different snakes to feed for snacktime. 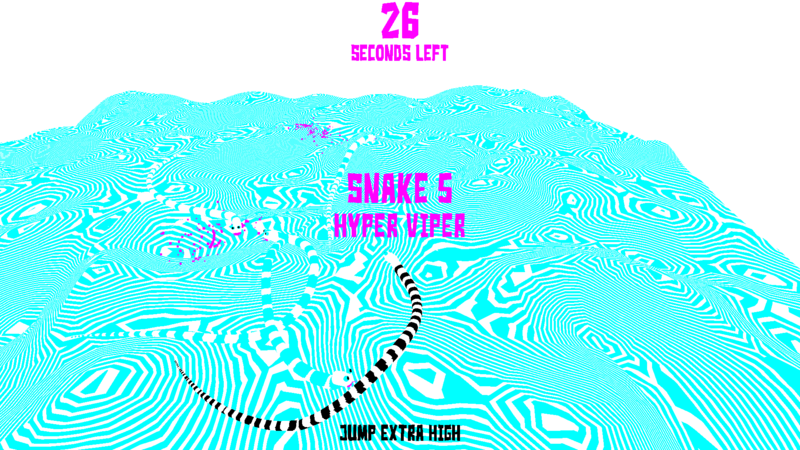 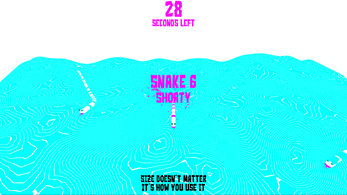 Always Faster: With each level, you control a faster and more maneuverable snake. 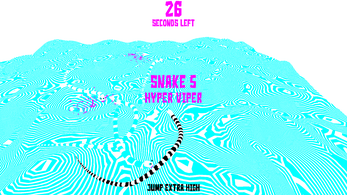 History Repeats: Snakes from previous levels repeat the movements you used when you played those levels. 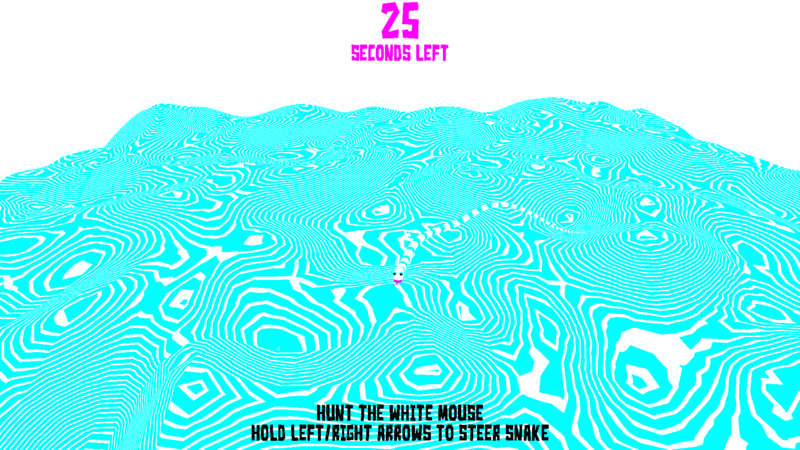 The mouse also repeats the same movements it performed in previous levels. Steer Snake Counterclockwise/Clockwise: Hold Left and Right Arrow keys, or A and D keys. Tools Used: Unity, Blender, BeepBox, Gimp, Audacity. 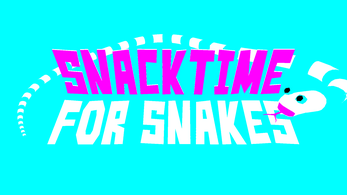 Video playthrough courtesy of Alpha Beta Gamer.